It is important to celebrate the similarities and differences between children around the world. One thing in common is that children from all over the world love to play games. Even though there may be some differences, many games have been played for a long time such as tag, hopscotch, and jumping rope. As you teach the children about these games, display a world map or have a globe available to show the class where certain games are played. Where in the world will your travels take you? Here are some games to play from around the world to get you started. Place as many objects (balls, blocks, small toys) as there are players around a Mexican hat. The sombrero with its wide brim works well. Have the children sitting in a circle around the hat. Name an object or color (or even both, for example, green block) and ask a child to run to the hat, pick up the named object, and run back to his space. Continue this game until all children have had a turn. For older children, vary this game by using clues like shapes, numbers, and letters. 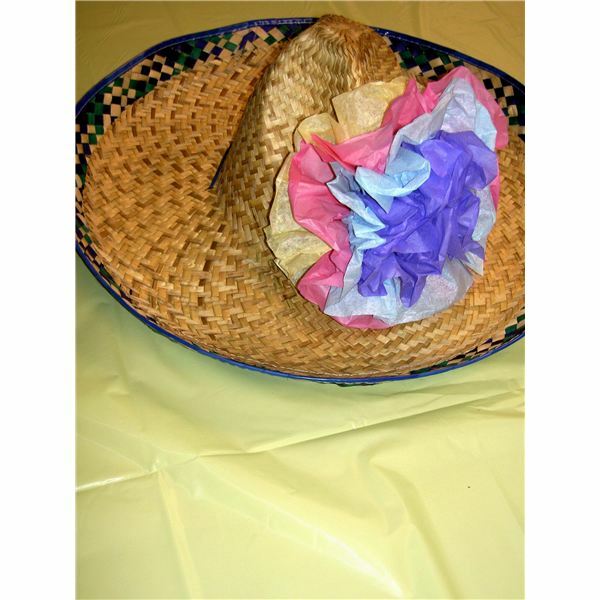 Another fun game is the Mexican Hat Dance. Children join hands in a large circle. Everyone dances to the right, until the music changes, then everyone turns and dances to the left. Dance to the center of the circle, with hands held up high; dance back, bending low. Use any Mexican music, but the "Hat Dance" song is best. This game is actually a favorite dance in Italy. Teach the children this verse and dance together. Step to the right; then hop. Step to the left; then hop with that foot as you swing your right foot in front. Young children may turn hops into jumps, but that's OK. Just turn on some music and enjoy the dance. Did you know that many children's games that are favorites here in America originated from England? Hopscotch is a game that spread to many countries. Use chalk to form a simple hopscotch pattern with the numbers from one to ten. Beanbags work well as markers. 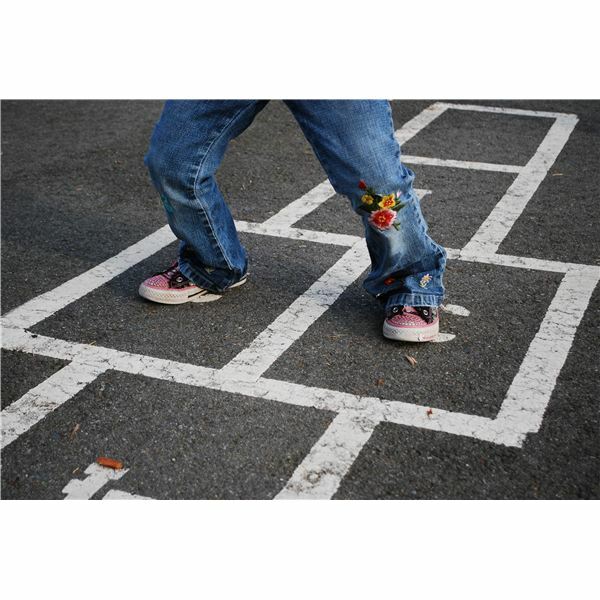 If preschool children have difficulty hopping, let them try jumping with both feet. Darts is another game from England. Use foam balls to aim at a pattern drawn on felt fabric. Make the dartboard large enough for the children to hit easily. The foam balls will stick to the fabric, or for better adherence add Velcro to both the balls and the dartboard. The running and kicking of a soccer ball is a favorite amongst English children. Marble Bridge is a game German children like to play. Create the bridge toy by cutting five evenly spaced arches on the open edge of a shoebox. Turn the box upside down on the floor and place a number above each arch. Call a number and ask the child to roll a marble into that arch. Choose one child to be the elephant and crouch down on all fours. The child begins to swing its trunk (one arm back and forth). The other children go up to the elephant and try petting the animal without getting touched by its swinging trunk. Whenever the elephant's trunk touches a child, the child is out of the game. The child who remains untouched will be the new elephant. As children participate in these multicultural games from around the world, they will learn to respect other lifestyles, cultures, and become curious about the places where the games are played. It’s never too early to teach children about countries of the world; their culture and traditions. This series will contain information about countries; the land, their people, the customs, festivities, art, music, and food.